Short’s Hoppy 5th is a hoppy Pale Ale with grapefruit zest brewed in honor of The Buck’s 5th anniversary. 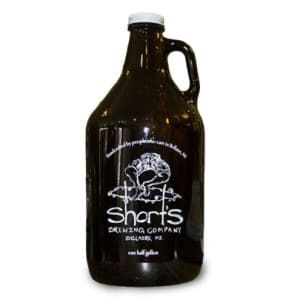 Straw-colored with aromas of grapefruit, citrus hops, and wheat, Short’s Hoppy 5th is a well balanced Pale Ale. Juicy and medium-bodied, flavors of grapefruit are complemented by Amarillo, Citra, and Mosaic hops. The finish is dry and slightly bitter. It’s clear that the hops, malt, and zest used in this brew work in unison to create a perfectly easy drinking Pale Ale.